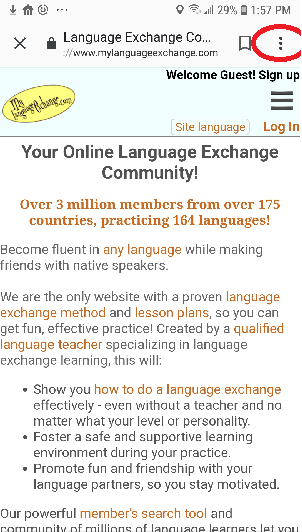 Access My Language Exchange with a single tap from your home screen. There is nothing to download so it doesn't take up space on your device like a mobile app. 1. Tap on the 3 vertical dots in the upper right corner of Chrome. 2. 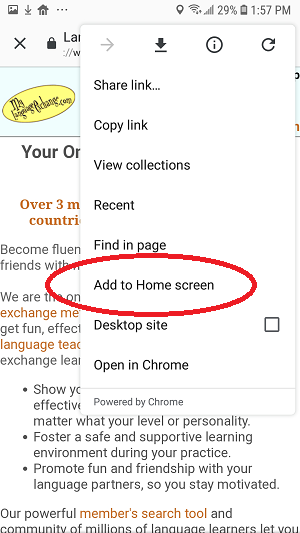 Tap on "Add to Home screen" in the menu that pops up. 3. 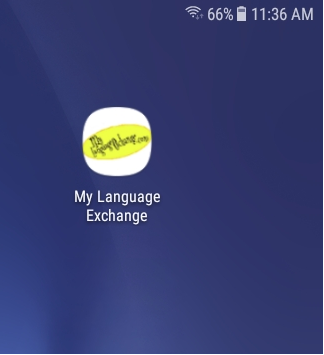 The My Language Exchange icon should now appear on your home screen. On some devices, it may take a moment. You will be notified when it is done. Other browsers have the equivalent feature in a similar menu.